Organic, all natural, bug repellant? Oil of lemon eucalyptus, a natural, plant-based repellant is one of the repellant options newly recommended in 2005 by the CDC for mosquito protection in the United States, based on solid scientific evidence. Oil of lemon eucalyptus has been used elsewhere in the world for years, and is about as effective as DEET, the chemical repellant that has been the standard U.S. recommendation since soon after World War II. Keep in mind that products containing oil of eucalyptus lemon may need to be applied more often than DEET insect repellants – especially more often than those containing high concentration of DEET. The oil usually lasts from 2 to 5 hours, but should be reapplied right away if mosquitoes resume biting. Certified organic formulations of oil of lemon eucalyptus are available. The CDC has also now recommended the use of picaridin (KBR 3023), another chemical effective for mosquito protection. Repellants using this ingredient have been used in Europe, Asia, Latin America and Australia for years. They can be both as effective and as long-lasting as DEET. The main advantage of picaridin products is that they don’t have an objectionable insect-repellant odor. Preventing mosquito bites is the key to preventing illnesses such as West Nile Virus, now found in 47 of the 48 states in the continental U.S. 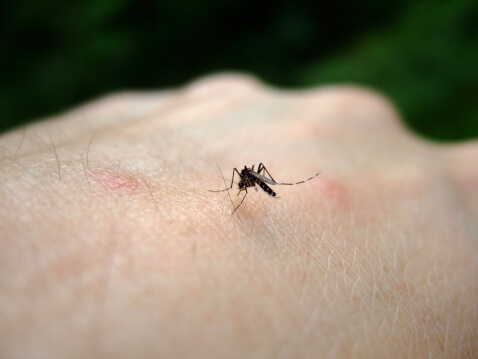 Most Americans don’t wear insect repellants, even when the mosquitoes are biting. For those who don’t use repellants because they don’t like spreading chemicals on the skin, and for those whose objection is the smell or feel of DEET repellants on the skin, one of the options newly recommended by the CDC may be just the ticket. For those who don’t use repellants because of the effort entailed, the new options won’t make much difference.